I have been in the ongoing disorganization of organizing my studio. Realtors took over the building where I, and many others, used to work and forced us out (because every inch of real estate in Brooklyn is made of silver and gold these days). Thus, a small part of our apt had to be adapted to hide my mess (my work space). We built a floor to ceiling see though bookshelf, and I now work behind a semi see through wall of books. We have a LOT of books. In going through the books and note pads that need to be kept or tossed in the garbage, I found a note pad recounting the Miami Book Fair of 2009. The Fahrenheit 451 adaption had just come out and I was sent to the show to do talks and mingle. In fact, on the shuttle bus from the hotel to the event I shared a ride with Laurie Sandell, Sid Jacobson and the outrageous Carol Tyler. As you can imagine, it was a shuttle bus ride I will never forget. Further reading of my notebook reminded me of something I totally forgot. A passage about encountering a large group of well dressed (way over dressed) event goers in the Hyatt Lobby. Looking beyond them, I spotted the sign for the event they were crowding into; “Money Making Opportunities by Donald Trump.” That’s what I wrote down in my note pad at least. A quick google search about who was at the 2009 Miami Book Fair seems to confirm my memory. 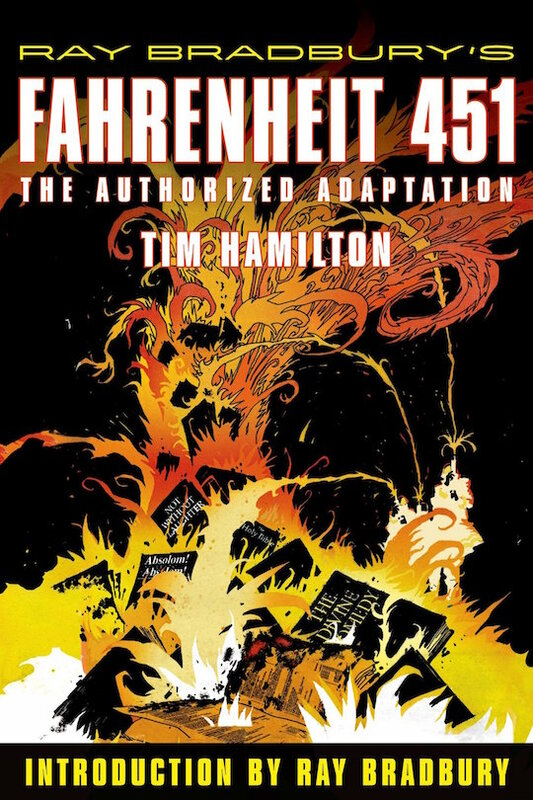 The Fahrenheit Adaption came out some eight years ago, warning people about obsessing over reality shows projected onto wall sized televisions, among other things. Yet here I am still struggling away as an artist who has yet to strike gold. I should have paid for the “Money Making Opportunities” seminar!